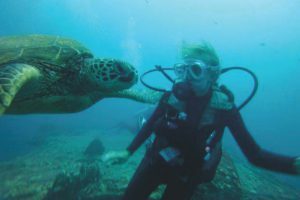 Join Sea Turtle Camp this summer for one of our SCUBA camps!!! Join other teens, as you explore all our marine ecosystems have to offer. Learn to SCUBA dive, or refine your current SCUBA skills! When you’re not underwater, you’ll spend time participating in hands-on marine biology activities, learning about careers in marine biology, and exploring the local area on awesome field trips. Visit the Karen Beasley Sea Turtle Rescue & Rehabilitation Center, go behind-the-scenes at the North Carolina Aquarium, enjoy a stand-up paddleboard eco-tour, take a surf lesson from the pros at WB Surf Camp and more! You’ll also stay at our camp facility which is just steps from the beach. In the evenings, you’ll participate in evening nest walks, night hikes, a camp luau, and traditional camp activities. Earn your SCUBA certification during this 12-day camp session, for teens ages 13-17. You’ll spend two days learning the basics – both in the classroom and the pool. Then, you’ll head to a local lake for a final day of training. After completing the Open Water course, you’ll head to the ocean. 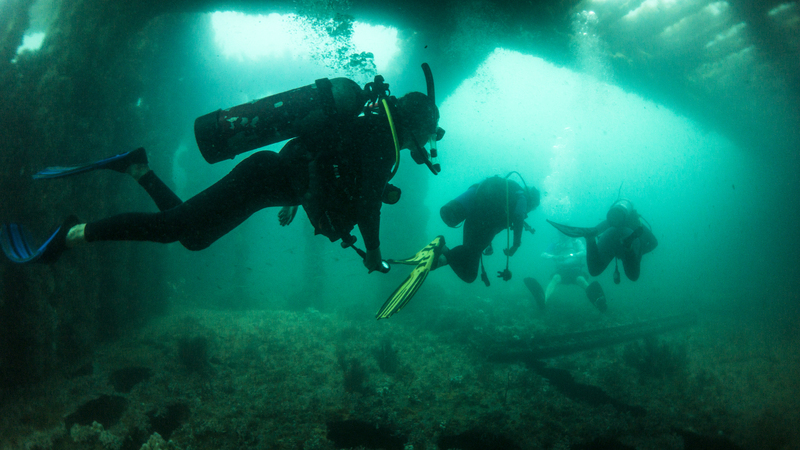 Dive North Carolina’s warm waters and you explore shipwrecks and local marine life. You may even get lucky enough to see a sea turtle in the wild!!! Already SCUBA certified? Looking for more adventure?? Then this camp is for you. Spend a day refreshing your scuba skills in the pool, then dive right into more advanced scuba techniques. Earn your Advanced Open Water SCUBA certification as you experience deeper dives, learn navigation skills and more. With this camp, you’ll explore even more of what the ocean has to offer!! !